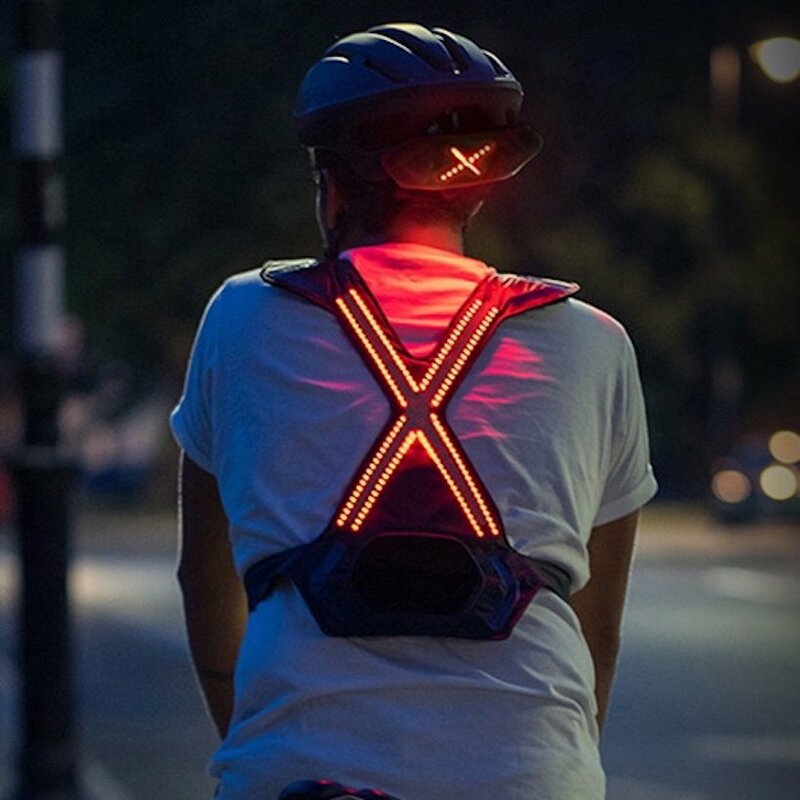 The London-based start-up, WAYV, is aimed at radically improving cycling safety with the introduction of a smart, wearable bike light and indicator harness/helmet system. 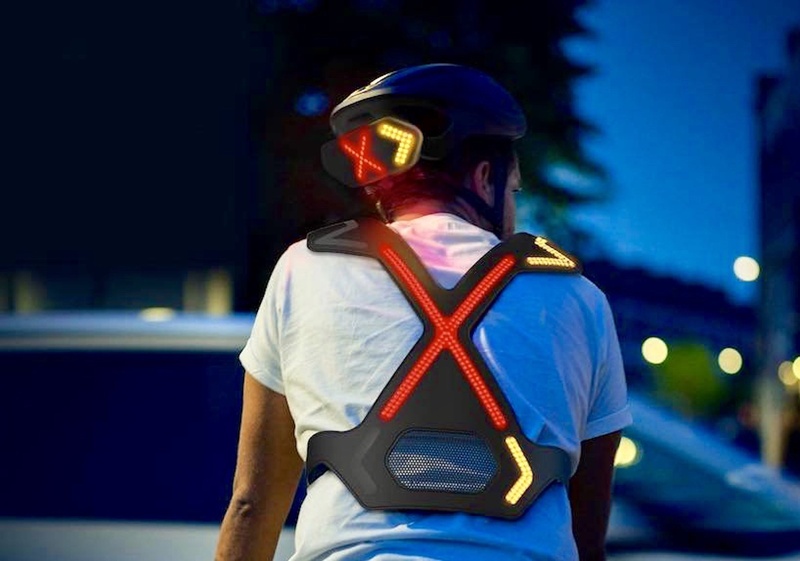 The WAYV comprises over 200 seamlessly integrated LEDs to ensure optimal visibility, wherein front and back indicators let other road users and pedestrians know which way the cyclist is turning or maneuvering in all weather and lighting conditions. Moreover, a handlebar mounted wireless remote allows the cyclist to keep his or her hands on the bar at all times for increased safety. Additionally, the WAYV helmet adapter features a flashing indicator on each side of the bright red ‘X’ tail-light. The adapter can be fitted to almost any vented helmet, eliminating the need to purchase a specialized one. Also, the wireless remote can be operated by simply nudging the lever up or down to activate both the harness and helmet indicators. 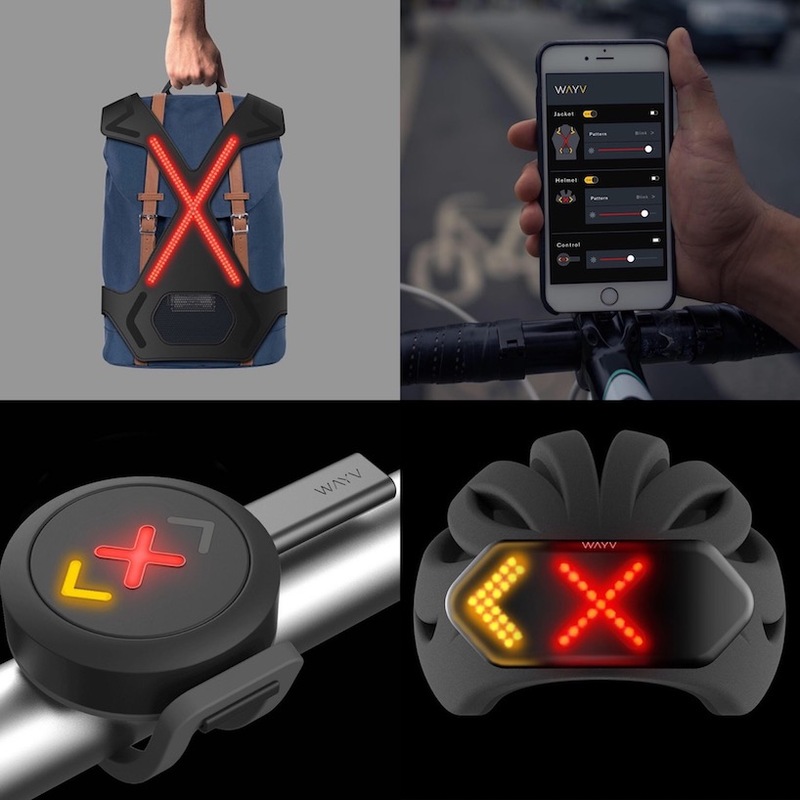 The WAYV also has an app that provides the cyclist with notifications such as battery levels, and allows the rider to customize both static and flashing light patterns as well. 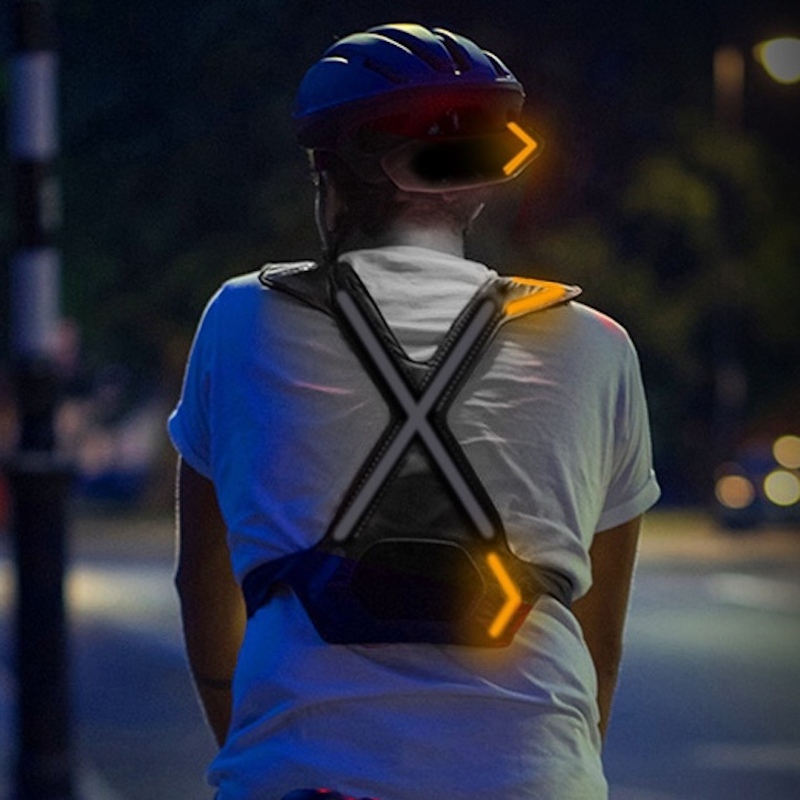 “WAYV has tactically positioned LED lights on the harness to provide maximum visibility in any riding position, as well as turning indicators. no other bike light currently does that. we designed it with commuters in mind, as it can be used with or without a backpack. and with the indicating capabilities, it will be much easier for others to see how you want to turn. this product was created to help not just the cyclists, but all road users,” says the designers. You can learn more about the WAYV by visiting the company’s website here.